Can we make more than one character? Are anime pics acceptable for appearance? Yes, you can make more than one, and anime pics are acceptable. Back Story: Chloe was always the shy girl in school. When she went to a public elementary school, she was bullied for being quiet and reserved, many thought of her as mysterious, and still do. Chloe lives on her own in a small apartment near the school. She doesn't yet know how to trust people and get closer to them, and usually doesn't initiate a friendship, yet still eventually wants to make friends, and observes people thoroughly before talking to them. As such, she is often seen as a loner. She went to a private school after 4th grade due to the severe bullying before moving back to a public high school for her freshman year. She owns a black cat, loves to draw, and loves to cook. She hopes to open a restaurant of her own when she graduates. Last edited by chloeblue76 on Sat Feb 24, 2018 4:58 pm, edited 3 times in total. Back Story: Xander grew up with his younger sister, Alenas through most of his life. They were really close as kids until there was an accident. He was with some friend's at a sleepover when his mom and sister got into a car accident. His mother died and his sister lost his memory, also getting a multiple personality disorder. He blamed her for everything and started distancing himself. He now spends his time getting into trouble, ignoring the needs of his sister as they now live in a home provided by the school. Back Story: Yuuto had always been a very shy and polite boy when he was younger. He would play with his parents, enjoying the fond memories he had of both of them. He became lonely and isolated when his parents divorced though, bejng forced to live with his father. His father worked long shifts at a hospital. When he would come home, he would drink himself to sleep. The two never really interacted unless it was his father telling him to study. Yuuto had become transgender and bisexual, wanting a change. He hides his true nature behind a smile. He didn't much like people but he was never rude to anyone so they all thought he was an amazing person. He got good grades and he had a fantastic personality, he just was confused as a girl and guy a lot. He didn't mind it much since that brought in more customers at the cafe he worked at. Back Story: Alenas grew up with her brother, Xander, as children. At least, that's what he had to her. She had no memory of anything before the age of nine, having been in an accident she can't remember. All she knows is that her mother died and her brother blames her for it. Along with amnesia, she also gained a multiple personality disorder. They all acted different but they all had the same likes and dislikes. She was more focused on school, atheltics and work. She had to so she could provide better for her brother, even if he hated her. She worked at a retail store in a mall, where she usually would dance to try and attract customers. Her personalities counteracted with each other most of the time but it was generally easy to decide who would have control based off the circumstances. Last edited by ash_minx on Tue Feb 27, 2018 1:30 am, edited 4 times in total. 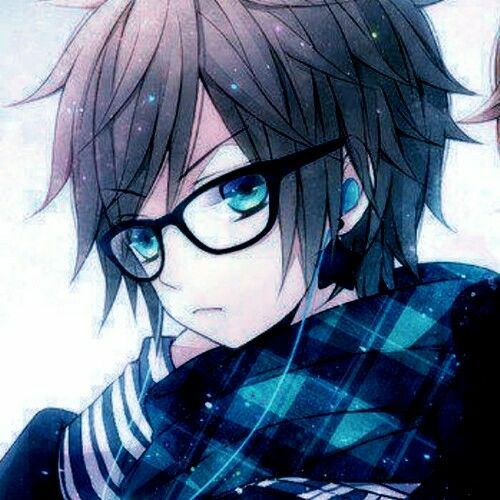 Back Story: Will, so far has lived a relatively normal life, or at least as normal as someone in his situation could be. Kendrick High School is the first public school Will has attended, his past education coming from specialty schools for others like him. Due to his condition, he is very quiet and is a loner, and as such doesn't seem to have many friends, if any at all. He is rarely seen without a black surgical mask, and his attendance is erratic at best. Last edited by Apophis on Sat Feb 24, 2018 7:04 am, edited 1 time in total. Accepted! I'll wait for a few more people then we'll start. I hope you don't mind what I posted under, "Crush."